Posted May 26, 2015 & filed under Document Manager. Sharetec Document Manager takes forms handling and storage to a new level inside the core. 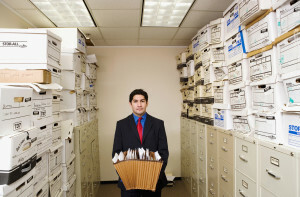 The days of huge filing cabinets and storage areas with hundreds of boxes of documents are gone forever. Your employees have access to all necessary documentation without leaving the core! Simply select the member number and all the documents for that member are accessed from one location in the system. No more searching for loan folders or membership cards. Everything is at your fingertips. Click here to learn more about Sharetec’s Document Manager. to learn how you can reduce the amount of time required for research to minutes instead of hours.